Contain a garden leave clause providing for payment to the employee of at least 50% of the highest salary from the prior two years or “other mutually-agreed upon consideration” specified in the agreement. The Act requires a garden leave clause that calls for payment of at least 50% of the employee's highest annualized base salary from the prior two years. Alternatively, the Act allows for "other mutually-agreed upon consideration . . . , provided that such consideration is specified in a noncompetition agreement." Although the garden leave pay is specific as to how much the former employee will receive during the restricted period, the “other consideration” is undefined and open to interpretation. It seems that an employer and employee can agree to consideration significantly less than garden leave pay so long as it is adequately spelled out in the agreement. Notably, the definition of "employee" expressly includes independent contractors. However, it proscribes non-competes with non-exempt employees per the Fair Labor Standards Act, college students on internships or short term employment (paid or unpaid), employees who have been terminated without cause, and employees 18 or younger. The Act fails to include a definition of termination without cause, which will lead to varying interpretation unless succinctly defined in the agreement. The Act allows a court, utilizing its discretion, to reform or revise a noncompetition agreement "to protect the applicable legitimate business interests." The choice of law provisions that appear in most noncompetition agreements would be unenforceable if the clause would prevent the application of the Act for an employee who was either a resident or employed in Massachusetts for at least 30 days immediately preceding the end of employment. The Act provides exclusive state court jurisdiction in the Superior Court and, for convenience of the employee, requires the lawsuit to be brought in the county where the employee resides or in Suffolk County if mutually agreed upon in the agreement. 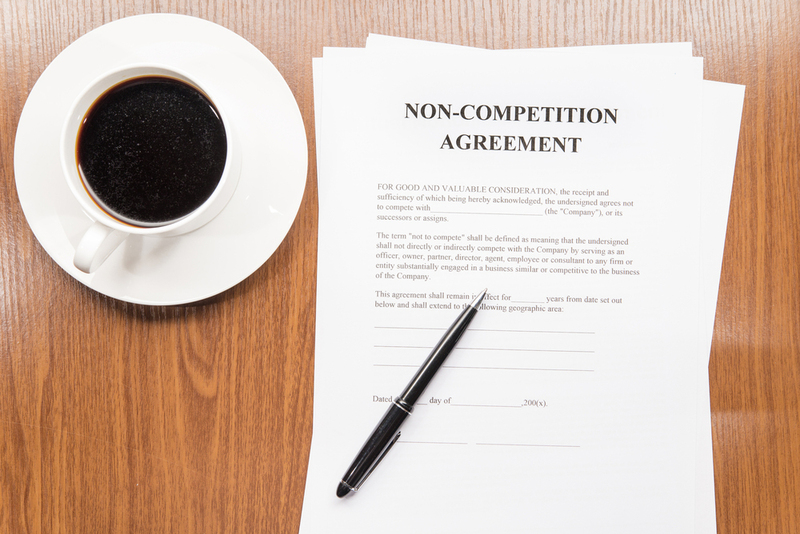 Employers doing business or having employees who live or work in Massachusetts should review their noncompetition agreements to ensure compliance with the Act before it becomes effective on October 1, 2018. Employers should put serious thought into defining "mutual-agreed upon consideration" if the goal is to avoid paying 50% or more of the employee's salary upon cessation. Employers should also consider defining what constitutes an employee's "breach of fiduciary duty” and “termination without cause" and “fair and reasonable” consideration for non-competes that are executed after employment begins. Due to the significant impending changes to Massachusetts non-compete law, employers are urged to consult with experienced employment counsel to determine if changes are necessary to their existing agreements.